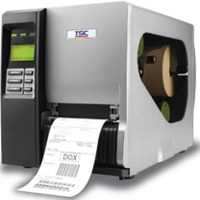 We are authorised distributors of barcode printers/variable printers SATO,ZEBRA & ARGOX. whether you require desktop printer or industrial printer it is job of our technical guy to visit your site and recomend the printer as per your applications. We also deal in print engine which is required for online labelling application. The wax range is an economical identification solution dedicated for flat head technology. Its main feature is that it can be used on a wide range of label materials and is suitable for both vellum and coated papers. These ribbons as being exceptionally sensitive and densely black. The quality of the back coating gives excellent protection to the print head. 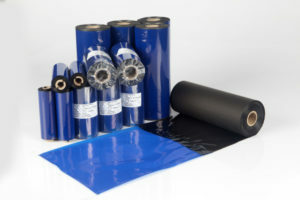 Different versions are available to ensure optimum ink transfer at lowest energy. The wax-resin range are the high quality of its performances and its wide field of applications. This range of ribbons gives excellent results on coated papers and synthetics (PE, PP, PET…). It has good resistance to smudge, is capable of printing barcodes at 90° and has sharp definition. 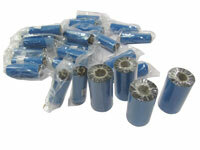 This product is intended for extremely demanding applications. The resin ribbon range is made up of high technology products that are+ particularly recommended for synthetic label materials (PE, PP, PET). These high performance products are highly resistant: resistant to smudge, resistant to high temperature, to solvents and to some detergents. Some are adapted for specific applications. ✔ Please click / download the attachment to understand Thermal Printing Solutions.